Tony Karrer is the CEO of TechEmpower, an E-Learning development company, and author of the E-Learning Technology blog. Last Friday Tony expressed some skepticism about the role of visual thinking in e-learning on his blog, which started an interesting discussion. A bunch of people weighed in on visual thinking's benefits, including me. I love the way Tony expressed his thoughts on his blog. He laid out his thoughts and asked the community to respond. Too many people, in a desire to be polite or not make waves, hold back their thoughts. I think that's a mistake. If you keep your concerns to yourself you don't give people a chance to help you understand -- in effect you close yourself off to learning. By revealing his concerns Tony demonstrated that he is a true learner and opened a tremendously valuable conversation. Next week Tony and I will enter into a podcast conversation about e-learning and visual thinking. I am really looking forward to speaking with Tony and hope you will listen in to this live podcast. We'll be talking next Thursday, December 20, from 11am to noon EST. You can register for the podcast here. Meanwhile, Tony and I are collecting any questions you have or ideas you'd like to see us cover in our conversation. 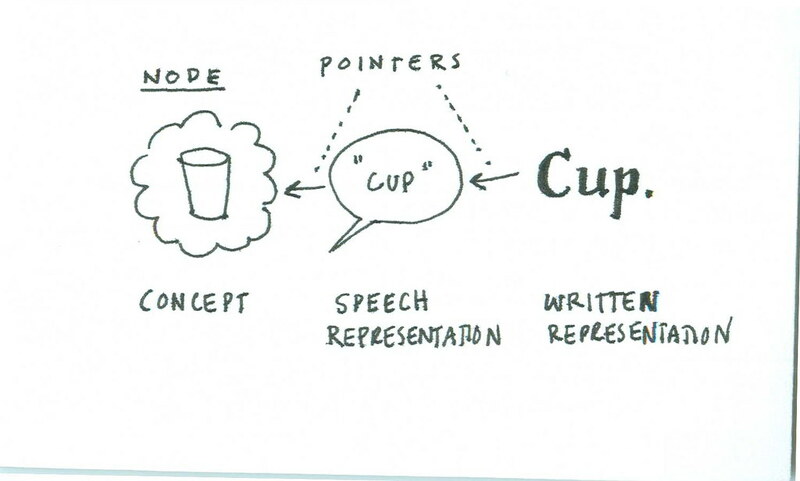 So... are you skeptical about the power of visual thinking? Do you have questions about how it works, why it works, whether it works? Or maybe you have friends or co-workers who have asked you questions about visual thinking that you found it difficult to answer. Please share your thoughts and questions here, and I will try to work them into the conversation. I hope you will join us! Keep in touch! Sign up to get updates and occasional emails from me. Affinity mapping, originally uploaded by dgray_xplane. Affinity mapping is a way to sort large amounts of data into logical groups. 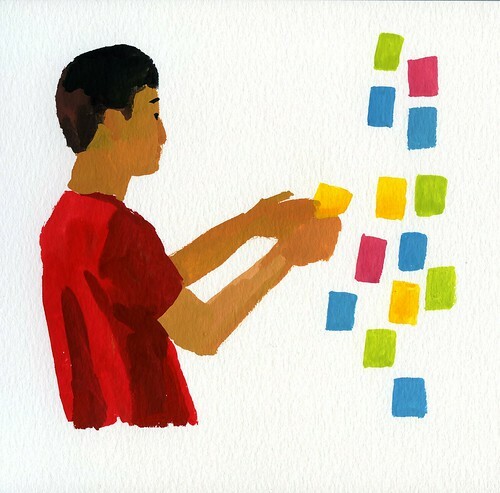 Existing items and/or new items identified by individuals are written on sticky notes which are sorted into categories as a workshop activity. It's a great way to get the power of a group working for you to organize information and ideas. For more Gamestorming goodness, check out the Gamestorming blog .